Fitglow Cloud Comfort Cream Review (2018): Does This Moisturizer Work? Fitglow Cloud Comfort Cream Review : Ingredients, Side Effects, Detailed Review And More. What Is Fitglow Cloud Comfort Cream? This product is brought to you by FitGlow Beauty, a skin care label, the founder of which constantly hurdled with rosacea-challenged skin until she found comfort in botanically sourced skin care products. “Evidence based natural beauty” — This is the promise of FitGlow Beauty. All products from this line are guaranteed by the manufacturer to be free from parabens, gluten, SLS and SLES, PEGs, mercury, toluene, nano-particles, chemical sunscreens, triclosan, and many other ingredient well-known to cause adverse effects to your skin and overall health and well-being. However, most of the formulas from this brand are unproven and there are reports that many of them are actually ineffective. 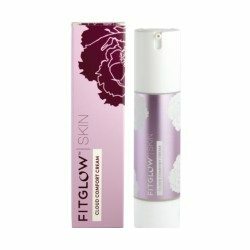 Fitglow Cloud Comfort Cream, US $84 for a 50 ml bottle, is a calming skin care product that relaxes irritated and fatigued skin, giving it a more even skin tone in an instant. Fitglow Cloud Comfort Cream — Does It Really Work? Soothe and relieve skin irritations and other forms of inflammation, particularly those caused by factors such as pollution and congenital allergic reactions like eczema and rosacea. Enhance your skin’s natural healing, repair and rejuvenating mechanism. Promote a more even skin tone by calming skin redness and blotchiness. Improves and rebuilds your skin’s protective barrier functions to help keep moisture in as well as to provide better protection from environmental causes of skin damage and aging. With regular product use, your skin becomes more resilient to future causes of damage and improve skin elasticity. What Are The Ingredients In Fitglow Cloud Comfort Cream? Cloudberry: Support the refortification and restoration of your skin’s protective barrier functions. Chia Extracts: Provides a rich source of fatty acids that soothe skin irritation and promote faster skin healing. Aloe: Works with your skin’s natural repair and rejuvenation mechanism to help repair and strengthen your skin. Though it may also cause rashes on the skin & itchy skin. Shea Butter: Deeply conditions and moisturizes your skin as it also supports skin repair. Gotu Kola Extract: Improves skin synthesis and promotes firmer skin that is more resilient to damage. Use Fitglow Cloud Comfort Cream as part of your morning or evening routine or, both. Always perform an overnight patch test when using this product for the first time to check for any adverse reaction your skin may have against one or more of this product’s components. Fitglow Cloud Comfort Cream is made with a relatively cleaner formulation compared to other moisturizers. This product is certified cruelty-free. This product is relatively more expensive compared with other similarly cleaner products. Fitglow Cloud Comfort Cream reviews are severely limited, giving little information to help gauge a collective user sentiment about this product. Does Fitglow Cloud Comfort Cream Have Any Side Effects? Based on the ingredients and reviews, the only side effects that may be experienced when using Fitglow Cloud Comfort Cream are skin irritations and other common allergic reactions to any of the botanical ingredients that make up the formula. FFitglow Cloud Comfort Cream appears to be an ideal formulation for sensitive and reactive skin types or, for people who just choose to use toxin-free personal care products. While it is remarkable for being relatively free of toxins, it does not automatically take away the possibility of allergic reactions which botanical ingredients are prone to cause any type of skin. It’s vegan and organic but, still not for everyone.